When the modern Fiat 500 was introduced, it gave a glimmer of hope to loyal Fiat owners who loved the styling of older Fiats, but wanted a modern car. The Fiat 500 not only gave a happy dose of Italian style and peppiness at a fairly reasonable price. This left Fiat to make the new 124 Spider - a car that’s been missing from the modern Fiat lineup for a long time. 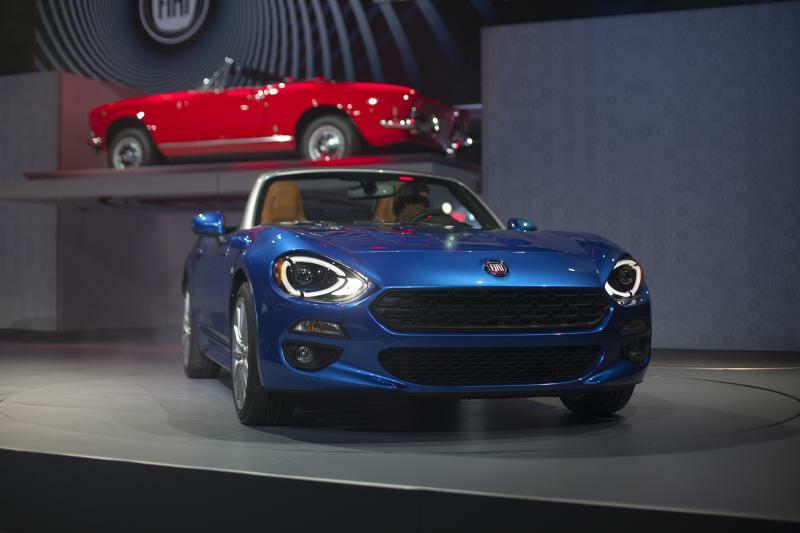 Designed in Italy, the 124 Spider is a modern throwback from the original Fiat 124 Spider, borrowing styling cues from it such as the hexagonal grille pattern and power domes on the hood. 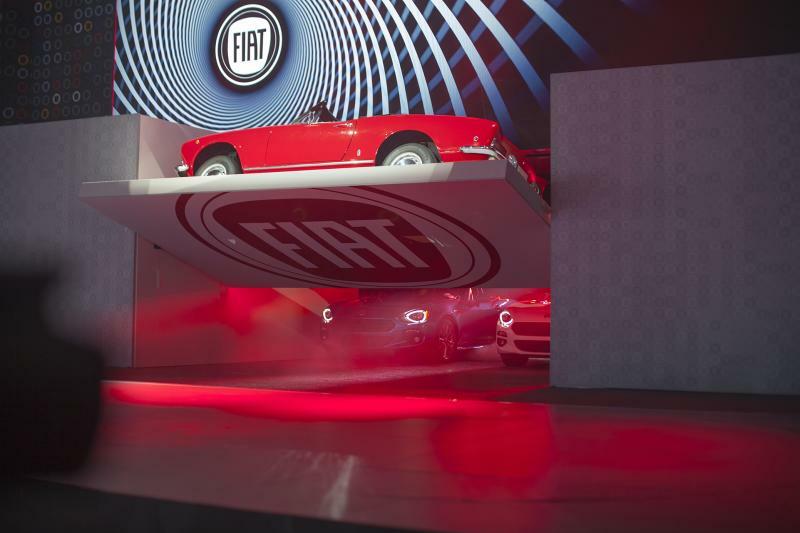 The Fiat 124 Spider takes on a Fiat philosophy of being both Aspirational and Affordable, though no price figures have been announced yet. My god, it looks stunning. You’ll have two trims to choose from, the Classica and the Lusso. The Classica features a dual-tip exhaust, black-finished roll bar, a body-colored header, side sills and door handles. 16-inch alloy wheels, black cloth seats, halogen headlamps and LED tail lamps come standard. The Lusso (“Luxury”) trim gains standard 17-inch alloys, silver-painted A-pillar header and roll-bar cover and dual chrome-tipped exhaust. The cloth seats from the Classica have been exchanged for heated premium leather seats with leatherette surrounds. 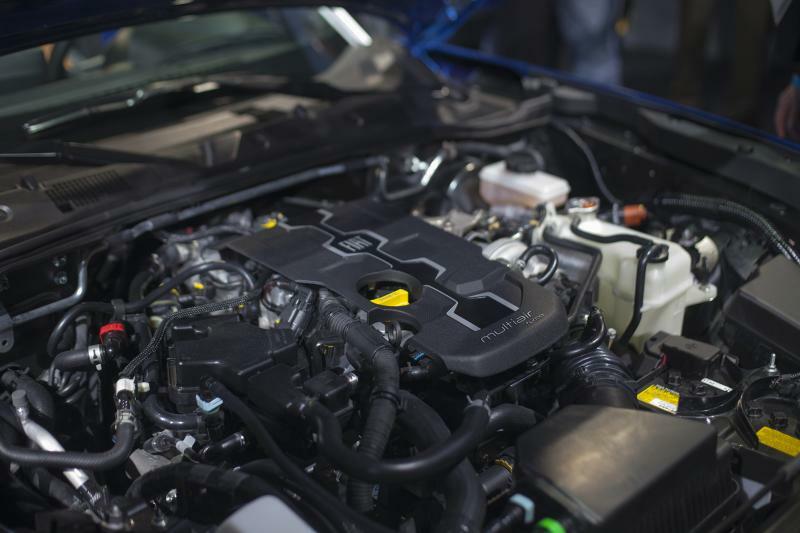 No matter what trim you pick, you will get the 1.4L Fiat Multiair engine. The turbocharged 4-cylinder the same mill as the Fiat 500 Abarth is built by Fiat in Italy and then shipped to Mazda’s plant in Hiroshima, Japan. If it goes and sounds anything like the Abarth, these things will be flying off the shelves faster than PS4s on Black Friday. Thanks to its Miata structure, it’s lightweight. 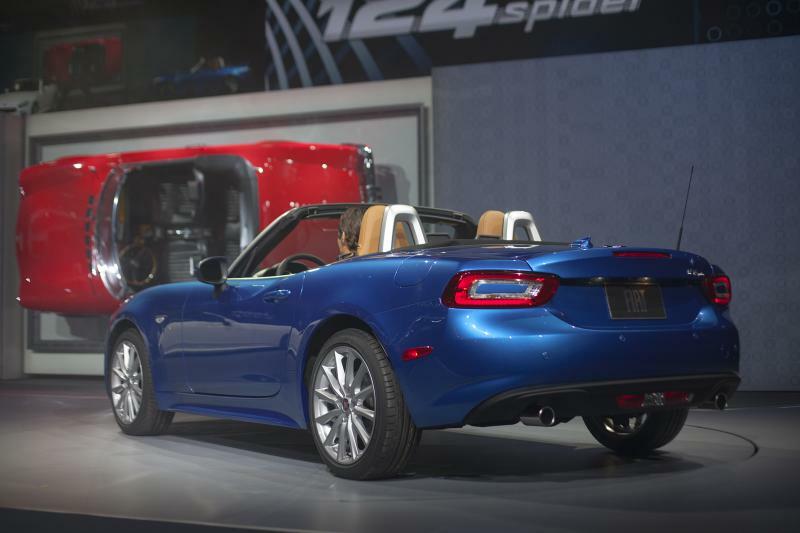 It is slightly heavier than the Miata by about 94 lbs for the manual version, but this shouldn’t really matter as the 124 Spider has 36 lb-ft more torque which comes it at the bottom end. 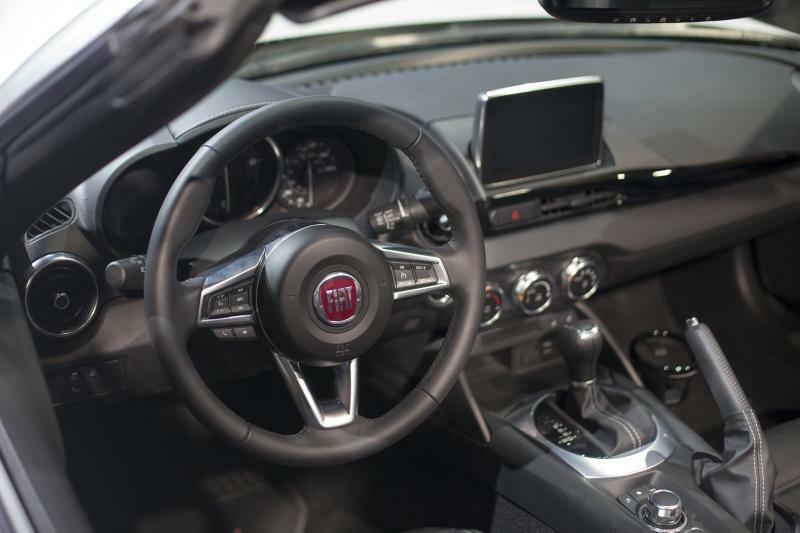 The interior is a near-carbon copy of the one used in the Miata, save for the Fiat badge on the wheel; the infotainment system also appears to be virtually unchanged from the MX-5. I really didn’t think they could make the Miata more exciting (stop with the LS swap jokes, people). For those who were begging for more power, here’s a dab of extra low-end torque for you. The only questions I have for Fiat are how much it’ll cost and if it’ll be as fun to drive as it looks. From what we’ve seen from the Miata, the answer for the latter will most likely be yes. Reach Staff Reporter Amou (Joe) Seto here. Follow him on Twitter here.